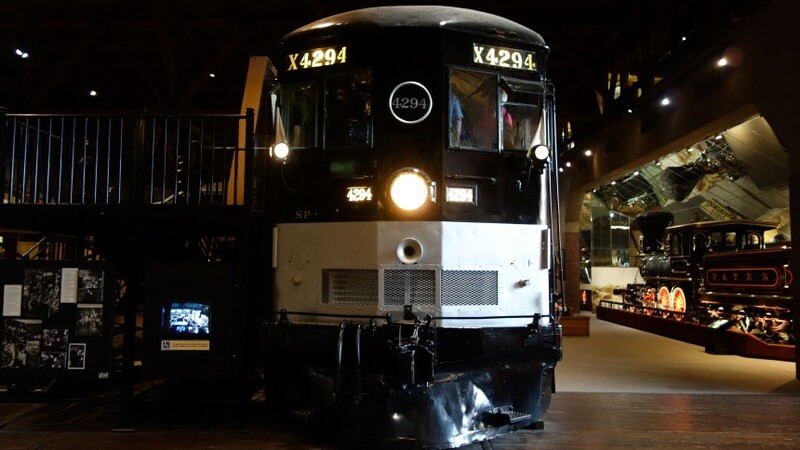 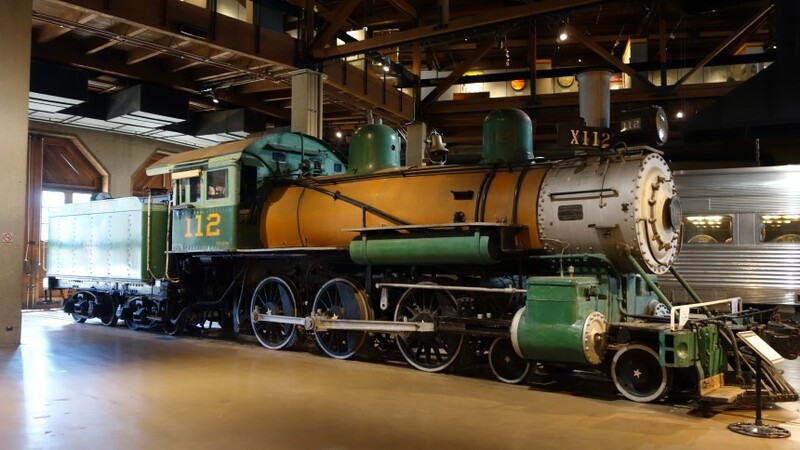 This is something like the 12th Railway museum I have visited on this trip and this time I actually went quite a bit out of my way to get there, making my journey from San Francisco to Fresno via Sacramento, purely in order to visit California’s State Railroad Museum, which I hadn’t even known existed until a volunteer at Portland’s tiny Railroad museum mentioned it to me a few days earlier! 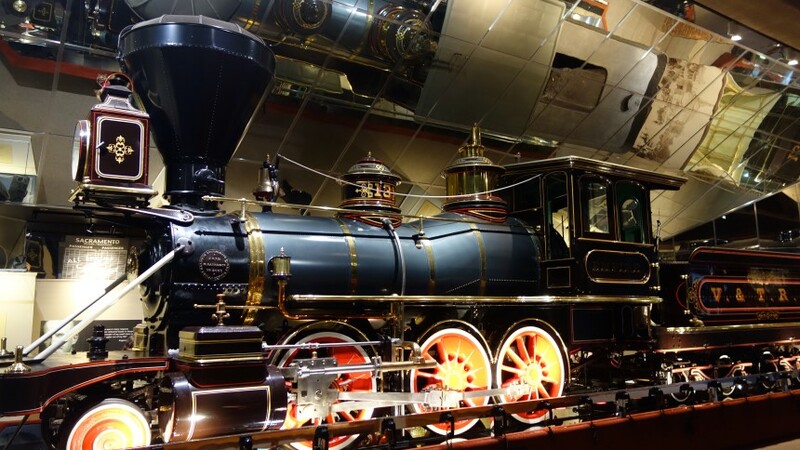 But I’m glad I did as it really is a cool museum. 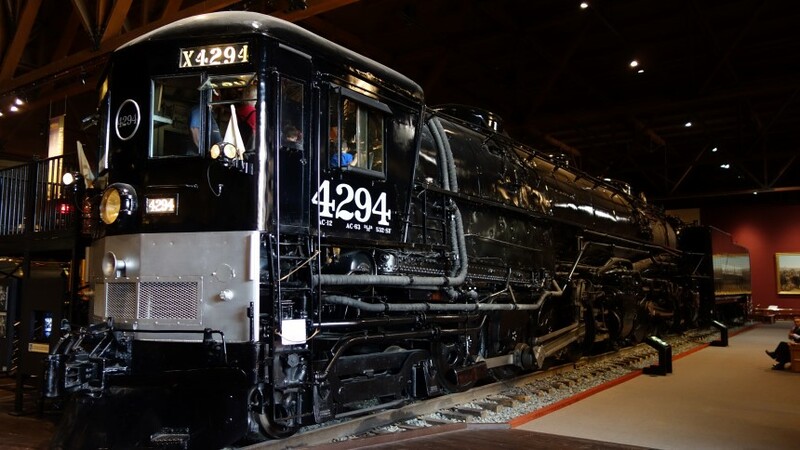 Located just outside the Amtrak Station and close to the start point of the Western end of the United States first trans-continental railway line, its full of a number of interesting locomotives and coaches. 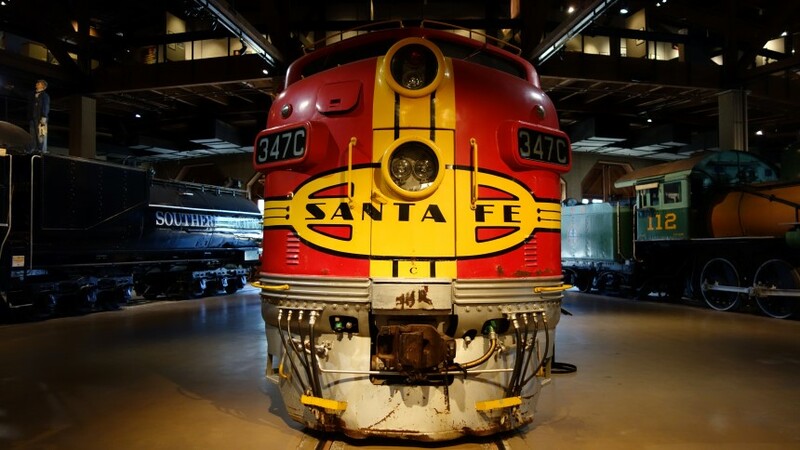 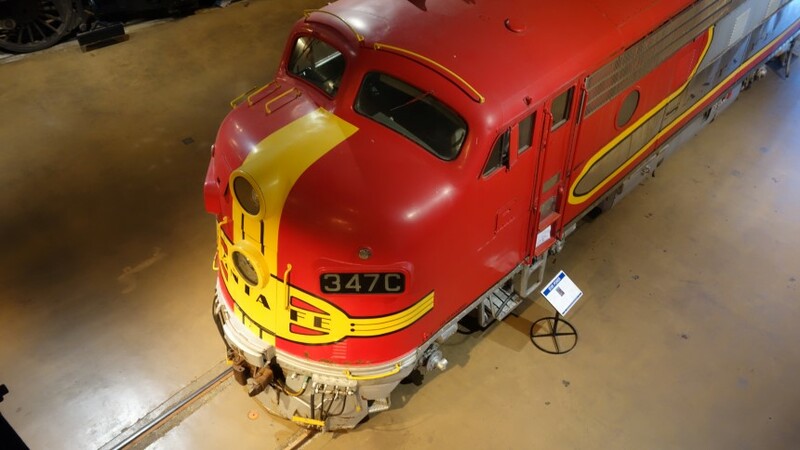 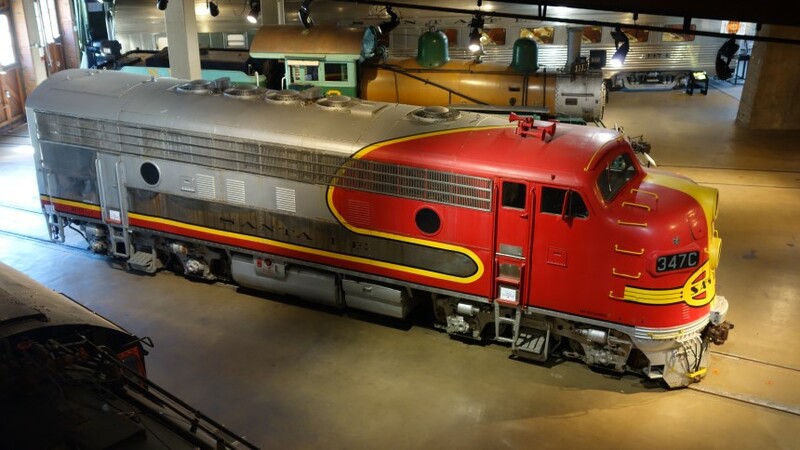 The loco’s are with one exception, steam, but the exception is a good one, a gleaming silver and red engine from the Santa Fe railroad from the 1950’s when it hauled their flagship “Super Chief” service from LA to Chicago. 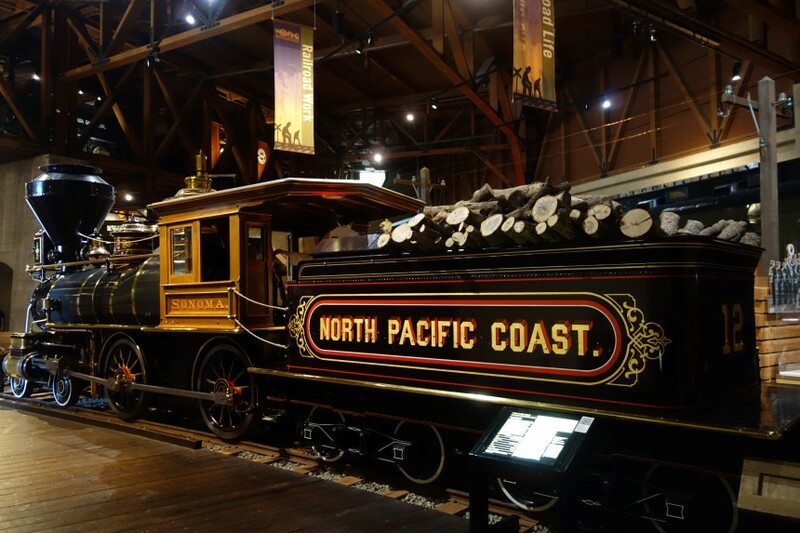 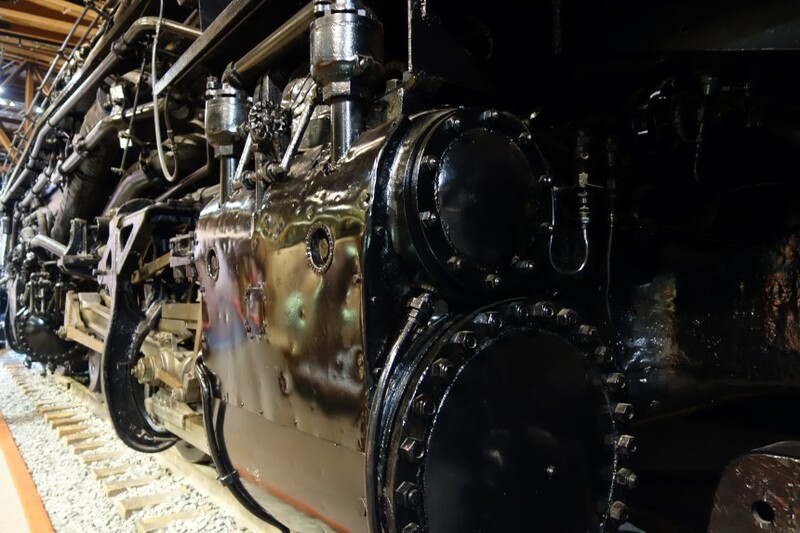 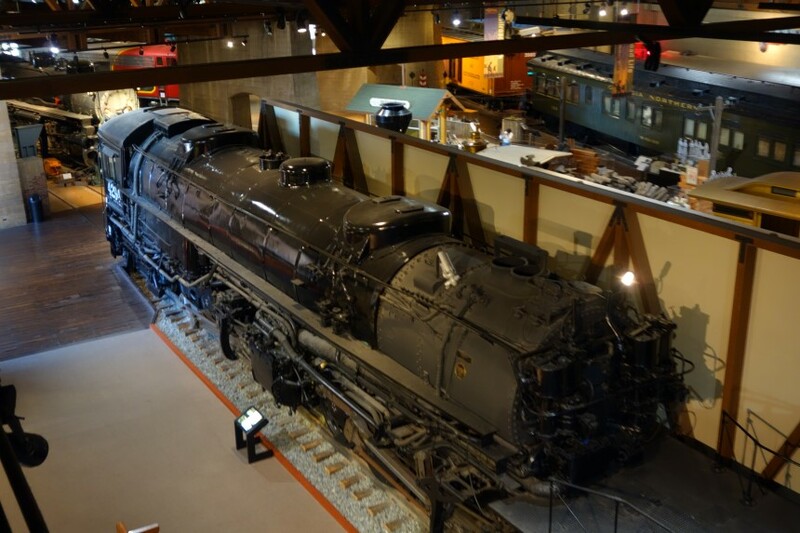 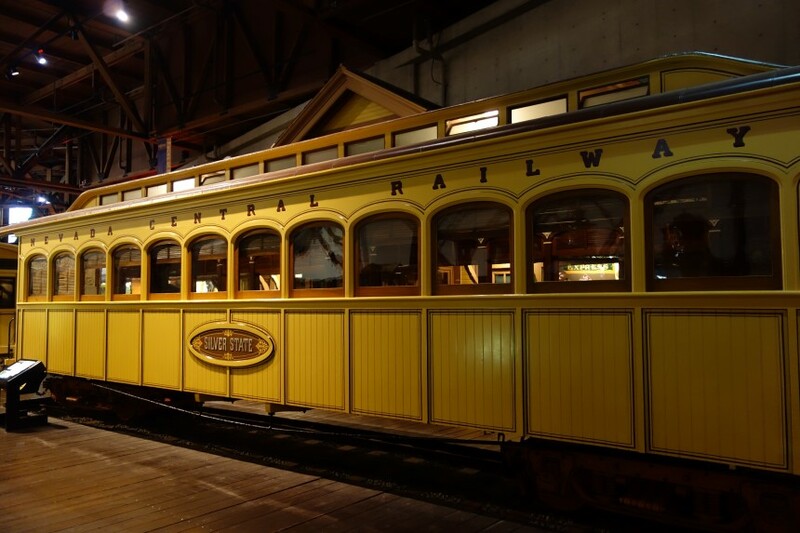 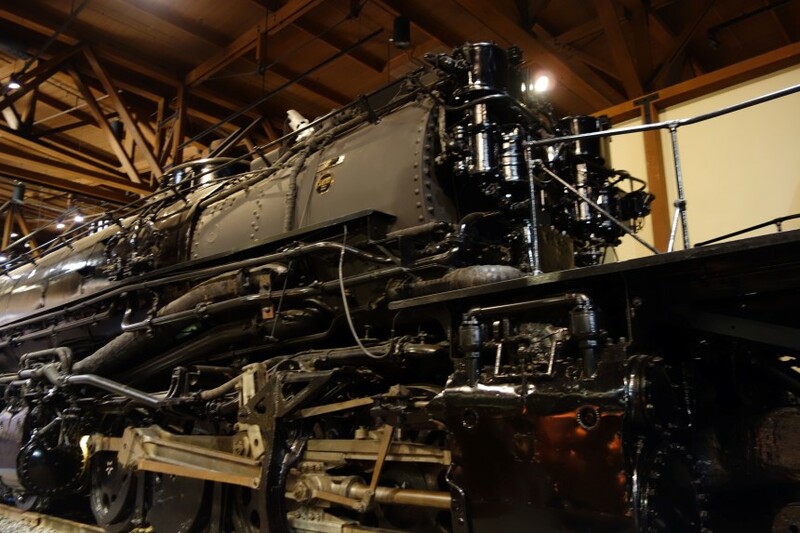 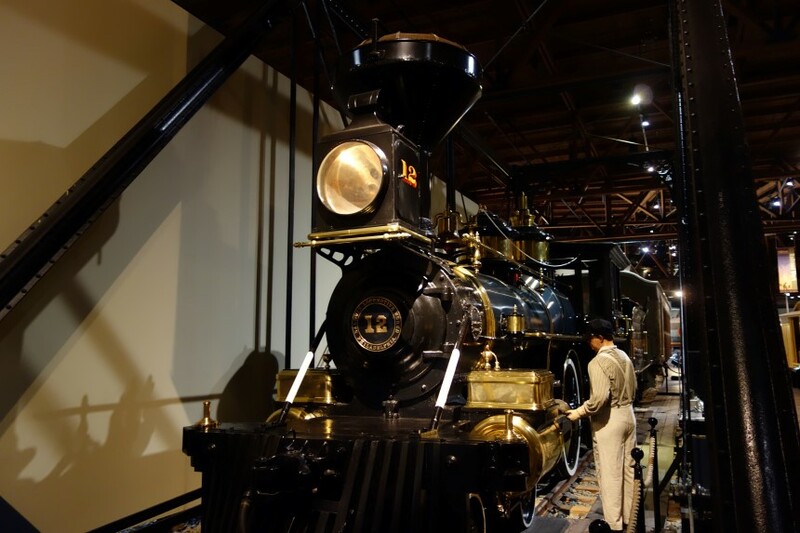 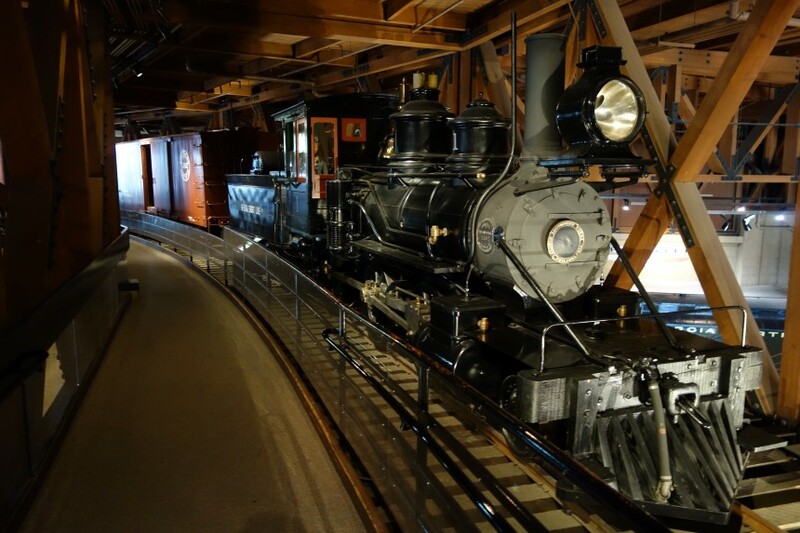 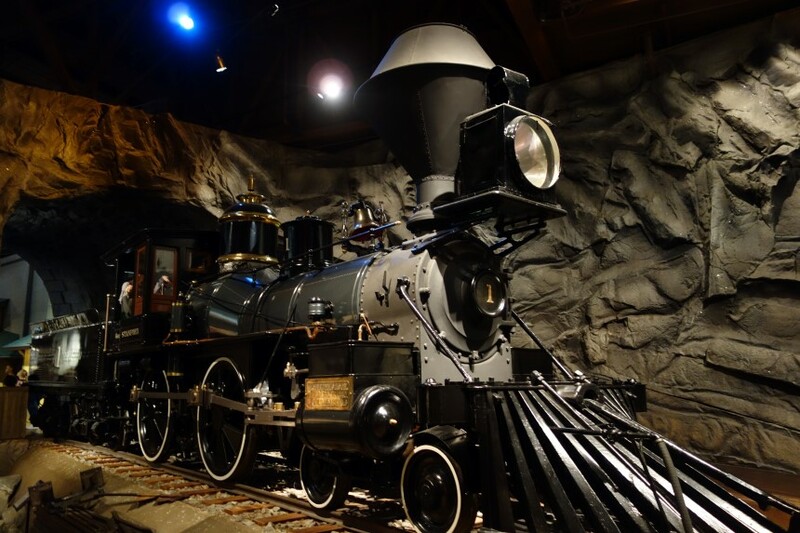 The steam on display also has good pedigree, with the polished brass decorations of early locos from the 1860’s and an enormous and rather unusual front cabled driven Union Pacific steam locomotive. 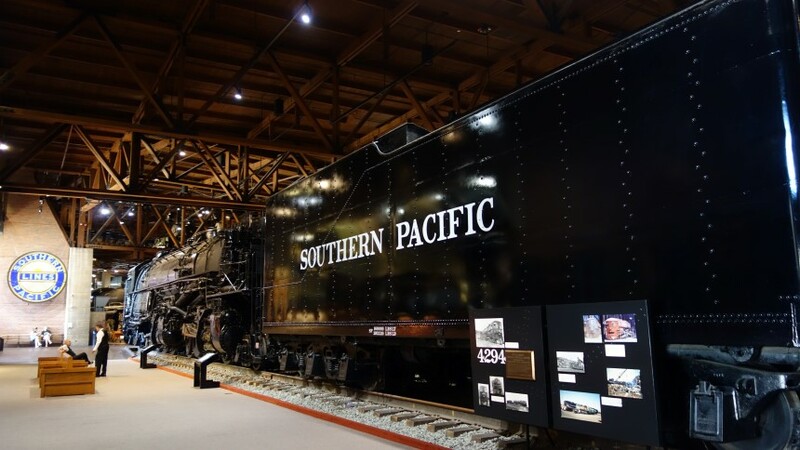 Other exhibits include a lot of information on the building of that first trans-continental link, including a short film explaining the transformational affect this had on the United States and California in particular. 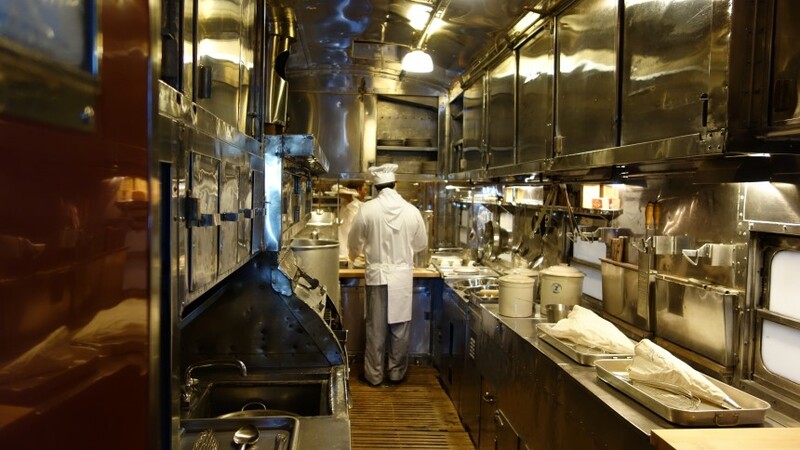 Carriages include an old refrigeration wagon and a post office carriage together with a Pullman Sleeper car that you can walk-through and which moves as you walk through it to simulate train movement (very cool) and a 1930’s stainless steel dining car from the aforementioned Super Chief. 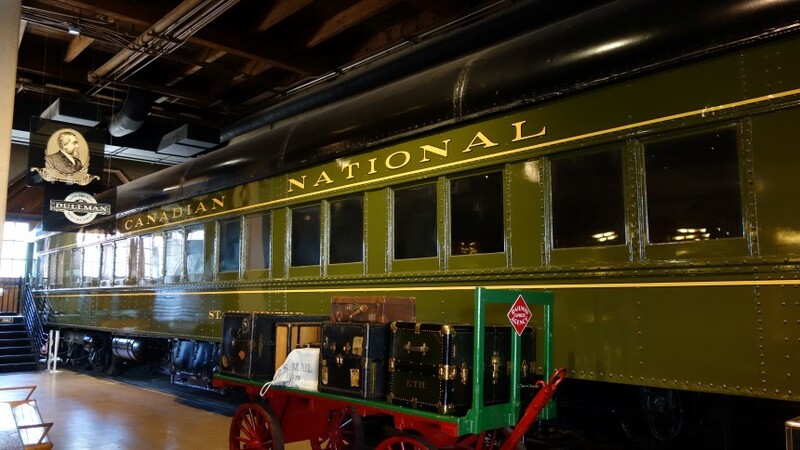 The vintage carriages look very nice but I did enjoy reading a discription from a 19th Century magazine about the difficulties of trying to sleep in a seat in Coach class – things are not much different on Amtrak! 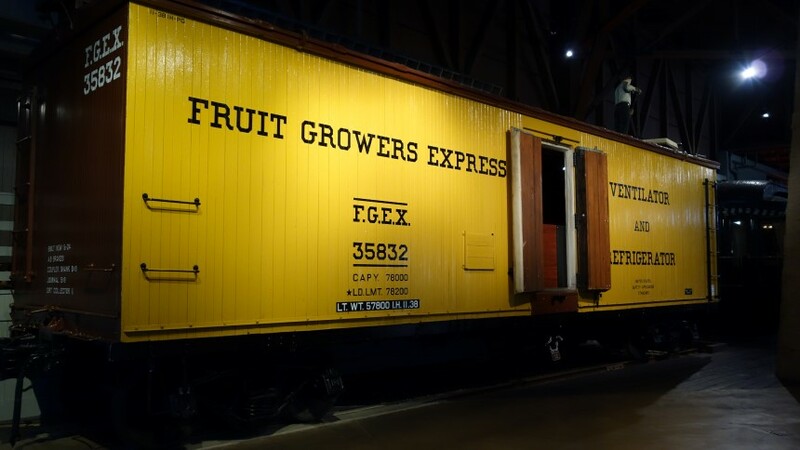 In short, it’s an excellent museum. 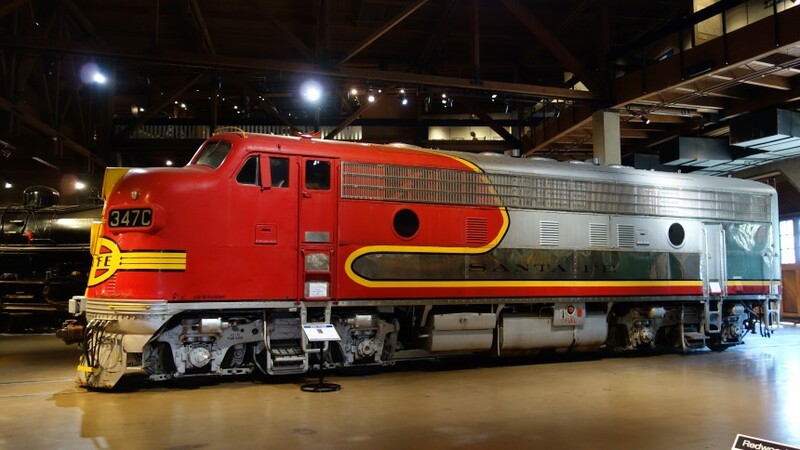 I probably have a preference for falling apart abandoned locos rather than gleaming pristine engines in modern museum environments, but the California State Railroad Museum does the latter very well, helped by an excellent collection, and runs short steam trips on weekends (alas I was their on a Wednesday). 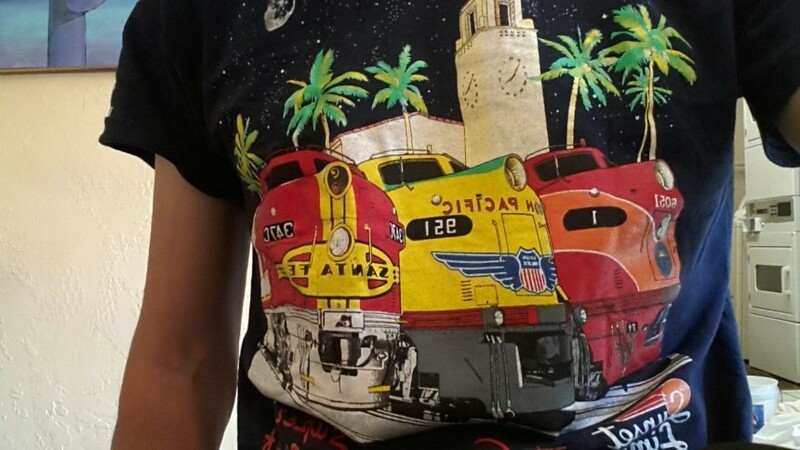 I was even for the first time tempted by the museum gift shop into buying a cool T-shirt with three streamlined locomotives on it (ok “cool” is a subjective term). 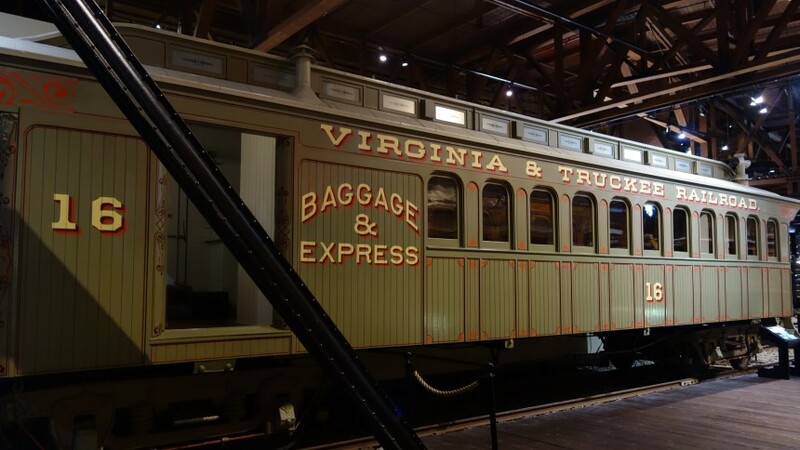 Somewhere else worthy of a visit. 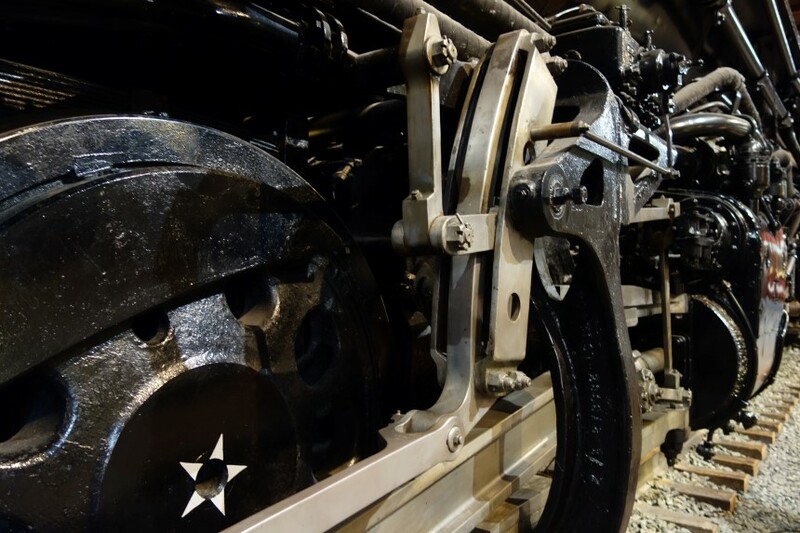 Nice photographs too.